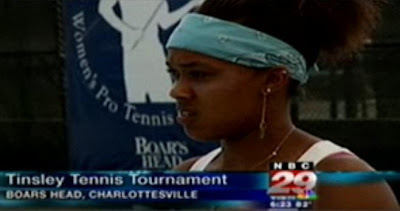 On Tuesday afternoon at the Boar's Head Inn, Charlottesville, Virginia, the Boyd Tinsley Women's Pro Tennis Tournament began. American Angela Haynes and Croatian Mirjana Lucic were the marquee match for the first round of this event. Lucic, a 1999 Wimbledon semifinalist, defeated second seeded Haynes 6-4, 6-2.